When i automatically export JPGS by Scripting -> Layers to file or -> Layercomps to file, the JPGS files are way to big and the show very heavy compressing artefacts, meaning they good a really bad quality. When using the PNG Option, the quality is very nice, but the files are very big too. Of course, its an png. I need to export to jpgs, why is it not possible with acceptable quality and filesize? Manual export file to web works fine, but thats not an option with a lot of Layer Comps. PHOTOSHOP CC 2014.2 OSX YOSEMITE. If you set the JPEG value to 12 is it better? Yes, quality with 12 is better. But the file size is way too big. Scripting-> Layer to File -> JPG Value 8 -> 4.4 MB / Bad Quality!! There must be a complete different and ineffective or buggy procedure or engine for the automatic and scripted jpg exporting methods. ADOBE, PLEASE FIX THIS BUG! So far you have not made a convincing case and I can’t reproduce the issue. Part of the difference may be embedded profiles and metadata. Also what are your exact and complete settings in either case? did you compare these 2 ways and had a good output per scripting? I did and could not discern a difference in compression quality. And the settings you mentioned so far are not complete. Please post a pair of corresponding jpgs. what about the size? even with both 100% (12), there ist a difference in about 100% file size. pictures posting later. But you have not actually told what you mean exactly by »With Manual Export 100% JPG« – did you use Save As or Save For Web? In the latter case you might have converted to sRGB, not embedded the profile, removed the metadata (even downsampled, though that seems unlikely). When will you post the images? Save for Web excludes metadata, an embedded preview and profile by default, so yes, the files will be smaller using Save For Web. Sorry, but this script didnt change anything. Same bad image quality for way to big jpg file size... double size, double bad than save to web. why does PS use a different engine for jpg export? Because they serve different purposes. Save As is for producing JPEGs rich in meta-info, while Save For Web is designed for producing the smallest files possible at the expense of stripping meta-info. Can you post your modified script? Did you use the code from the link I provided to modify the Layer Comps to Files script? Did you modify to the provided code to save at 80% quality? i downloaded the script from the last post. without modifying. i am really not into scripts. i just double clicked it and okd the security warning. The top number "LAYERCOMP TO JPEG (8) -> TOTAL SIZE 4.4MB" is a result of each image running the script from http://ps-scripts.com/bb/viewtopic.ph... with "8" in the JPEG quality field. And the bottom "SAVE TO WEB JPEG (80%) -> TOTAL SIZE 2MB" is a result of each image from doing File>Save For Web and setting the quality to 80%? 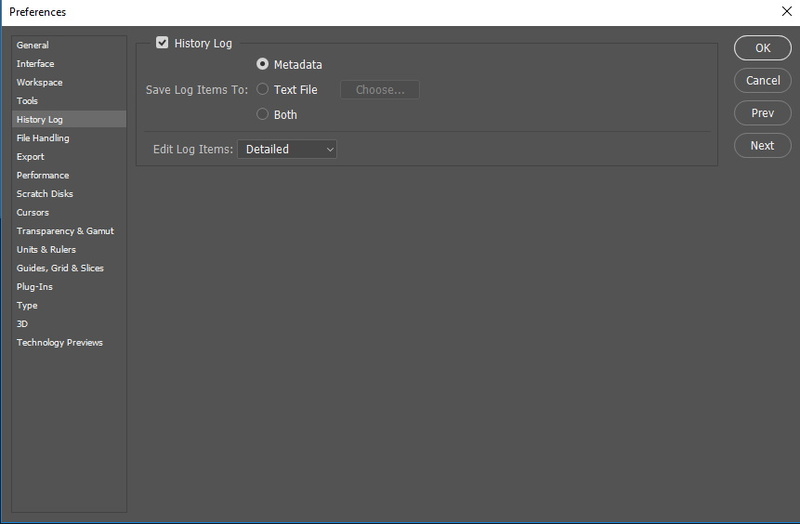 Can you post your PSD with the Layer Comps your exporting? i cant post this client psd. but i can post any other, because this behavior is totally independent from the psd. its happening with every layer comp in the last years! you even dont need a layer comp. just choose file/scripting/layer to file. works bad the same. the script you delivered, yes i doubleclicked it. but it didnt change the results. or do i have to use the script file in a different way? or do you have another, working script? I think I really need a file from you that exhibits that great of difference. If I export this Layer Comps sample file ( http://adobe.ly/1ye1La2 ) that Julieanne Kost created back when Layer comps were introduced I get the following results. The selected files were saved from Save for Web at 80% quality. The unselected files were exported from Files>Scripts>Layer Comps to Files... with quality setting set at 8. The Layer Comps to Files method is actually creating smaller files for me. I'm assuming there's a ton of metadata or other meta-info in your files. If I have a sample PSD file that exhibits the large difference in size to examine - I can probably provide a workflow solution. i will provide a file soon. usually i work with big files with hundred and more layers with text, pics, illus and lots of embedded smart objects. this is why i need the script export function, so i dont have to manually export every layer and layer comp. I edited Script so now use Save for web + I removed four digit prefix numbers. Thank you very much, Marko. Finally this is the solution! But I am wondering why you and not Adobe is fixing this issue. These scripts did the trick for me!!! When exporting manually as a jpg (Quality 80) i get e.g a file size of 400kb. Same file/design exported by "export layer composition" as a jpg (Quality 8) results in a file size of 5.5MB! Why is Adobe not fixing this bug for years? Hello Adobe, why is the export layer script (filetype jpg!) not using the same export routine as "export as jpg"? the problem seems still unsolved. If i use export layer comps as jpg a simple webdesign results in 7MB per Screen (quality 10, even with jpg artefacts). The same export layer comps as files with png results in perfect quality 1.5 MB files. Why dont you fix the export layer comp script routing, since its obviously broken for several years? Malte, I haven't been able to reproduce this issue. If you can provide a source PSD that exhibits the behavior I can look into it. Здравствуйте, у меня такая же проблема! Когда экспорт слоев в файл,возникает ошибка. Изменить разрешение от 300 точек на дюйм до 72dpi how to make so that when you export the layer, the resolution remains 300 dpi ? I ran into the same issue described above and was looking to file a bug report. This only happens after upgrading to Photoshop CC 2017. The previous versions all perform correct output file sizes. When I export layer comps to JPGs I am now getting JPGs that are 20MB for a 300x250, 72ppi file, which obviously is ridiculous. Also, changing the JPG quality in the dialog box from 1 to 12 doesn't make a difference size wise. Same results. Definitely a bug. Hope this is going to be addressed soon! If there is a solution, please let me know. I will sent files too, for now I am in holidays. where should i send my big psd file link to? I am also having this issue. Layer comps to jpegs produces jpegs that are 5 MB or more- these are only 300x250 px web banners. No one from Abobe cares about this issue or our feedback. Make it like the most people nowadays, switch to sketch for designing websites. you wont miss photoshop! i am done with this software. When we are making web PNGs for ecommerce stores all the images need to be the same pixel size and of course smallest file size possible and also transparent. We always make a multi-layered PSD file with smart objects scaled to similar size. These can then be made into transparent PNGs by using "Export as" with transparency and 8bit smaller size - saved one at a time, named one at a time- very time consuming. Or we use Export > layer to files - great! all automated! to folder at high speed but the PNGs are larger file size :(- a real shame because everyone must be doing this. Any ideas? have you tried using Generate Assets? Sure it does, you just have to learn how it works. If you want a canvas crop, put an empty mask on that layer.